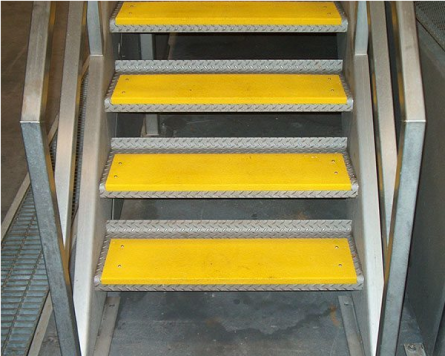 Treadwell provides the market with seamless anti-slip protection for stair landings with its CoverSAFE®. 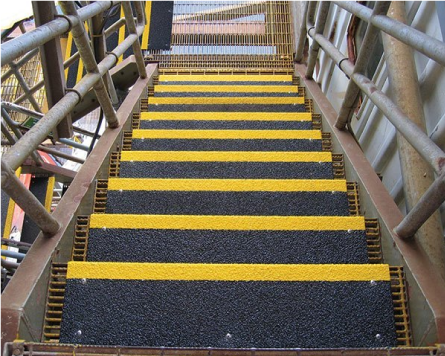 Complementing the StairSAFE® range, CoverSAFE® encompasses any exposed areas including the leading edge and landing areas. CoverSAFE® can combine a large flat area with a vertical lip to ensure a consistent finish and coverage on any landing. CoverSAFE® adds a contrasting colour on the edge step to make it more visible. Photo luminescent covers are available for after hours, low light environments and emergency situations.